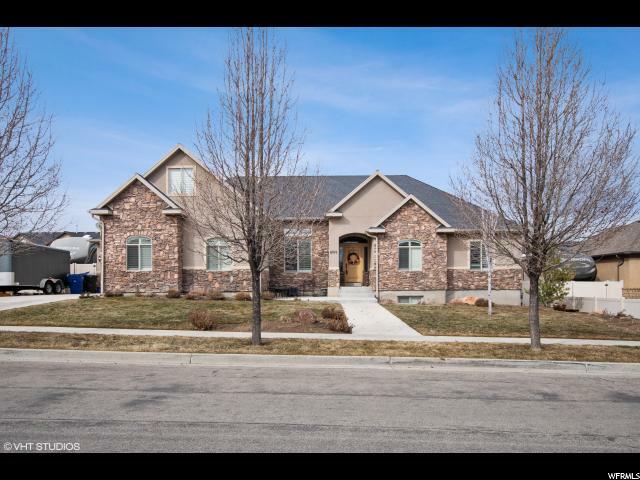 All HERITAGE PLACE homes currently listed for sale in Herriman as of 04/18/2019 are shown below. You can change the search criteria at any time by pressing the 'Change Search' button below. "Beautiful spacious rambler in a nice neighborhood. Lots of space with an oversized 3 car garage and RV Parking. Fully fenced yard with a cute playhouse. Features 9 bedrooms, 4 full baths and half bath, two laundry rooms. Grand master suite on the main floor with double sinks, walk in closet. Two bedrooms and full bath over the garage. Downstairs includes a large family room, 4 bedrooms, craft room, laundry and kids play area under the stairs. Updated kitchen with granite counter tops, stainless steel appliances and a large island. Engineered Hardwood floors, gas fireplace surrounded by built in cabinets. Great home in a great neighborhood."